The biggest game in college sports, the NCAA College Football National Championship Game comes to Tampa bringing excitement and along with great event and game day watch parties. This Monday night all eyes will be on Tampa and Raymond James Stadium as ESPN broadcasts the game live at 8:30 p.m. College football fan or not, this game will be fun to watch, and provides a great reason to get out, grab a cold beer with friends, and enjoy great game day food specials! You'll enjoy a great night of football, food and fun at these top sports bars in Tampa, as you watch two elite college football programs battle for the title of National Champion. 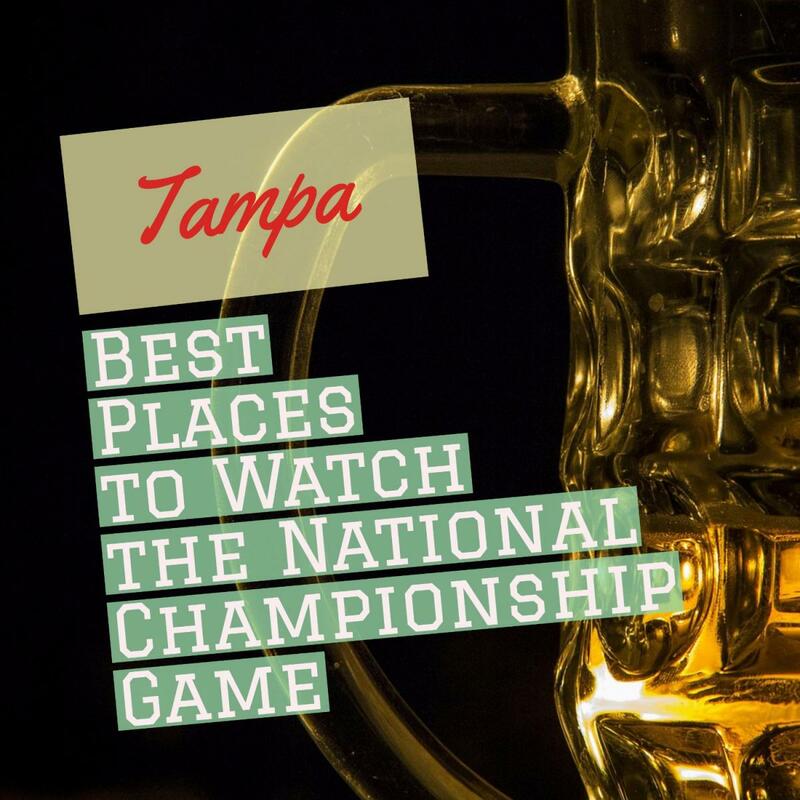 These top Tampa sports bars are your ticket to the best NCAA College Football National Championship Game watch parties in Tampa. Love craft beer? Champions Sports Bar located in the Downtown Tampa Marriott Waterside Hotel & Marina is offering an exclusive experience with 2 craft beers brewed expressly for this game! The brewers at Coppertail Brewing Co.are sharing their brews ONLY with Champions at Waterside Monday night! Come out to try Crimson Cherry Wheat and Tiger Paw Porter, chocolate peanut porter. You can only buy these beers in the tasting room at Coppertail and at Champions where you can view the game on an 18 foot BIG screen while enjoying a uniquely crafted experience. Great place to watch the game! Listen to music and gather with friends - this place is always rocking with cool peeps and a friendly vibe. With three great Tampa locations in Hyde Park, Westshore, and Westchase, Irish 31 will be featuring 3p - 7p Happy Hour on Monday, plus other game day specials! If you want a cool party experience in a dynamic and lively sports bar Ferg's Live in Downtown Tampa is the place to be for the National Championship game! Ferg's Live will be Featuring $4 Smirnoff cocktails and $21 Buckets (5 - 16 oz Beers). Don't have a ticket to the National Championship game in Tampa? 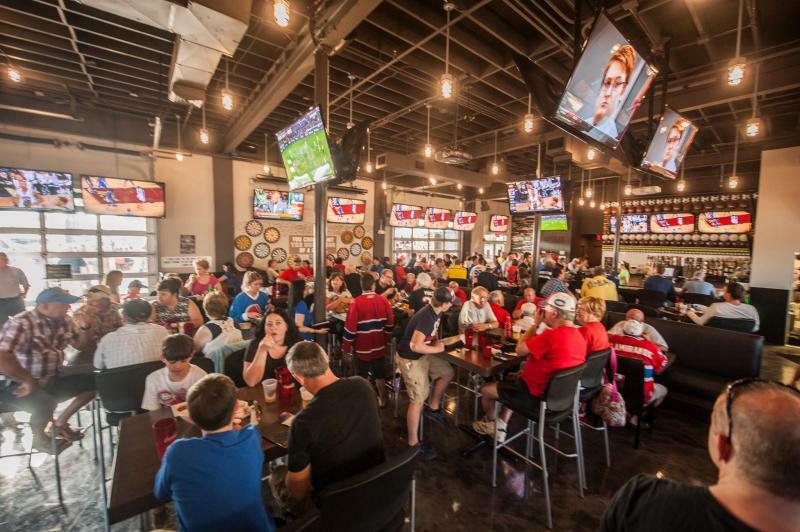 Miller's Ale House near Raymond James Stadium is the happening place to soak up the excitement of the National Championship game experience. Their game night specials include a Cape Cod cocktail for only $2.50, plus their fabulous Baby Back Rib Platter for $11.99! The name says it all, this sports bar is not for rookies! They take sports seriously year round. 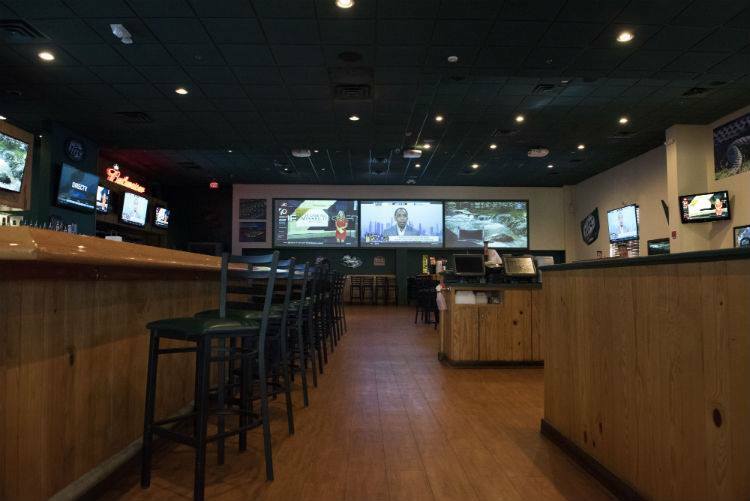 Prime Time has served as the local sports hangout in Carrollwood for over 20 years! Watch the National Championship game at Prime Time Sports and enjoy 20 wings and a pitcher of Bud Select for just $21.99! 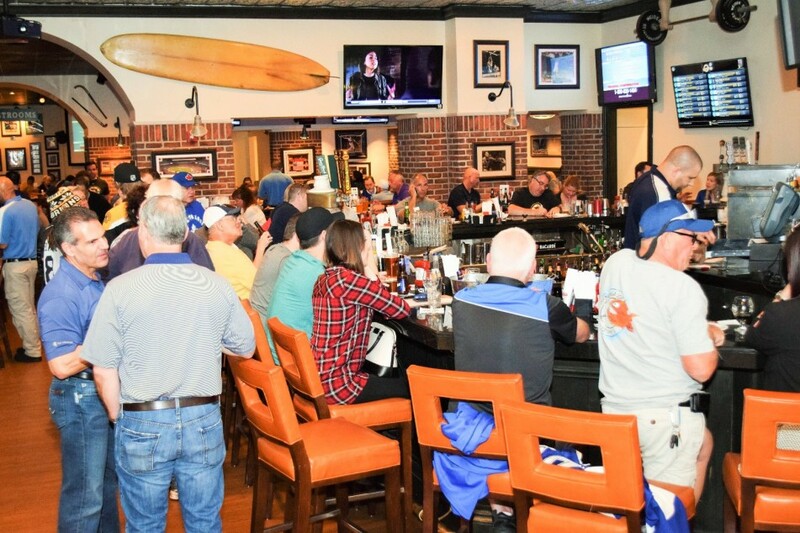 This is the ultimate sports bar experience with over 40 TVs, you'll get the perfect view of the big game everywhere you look! 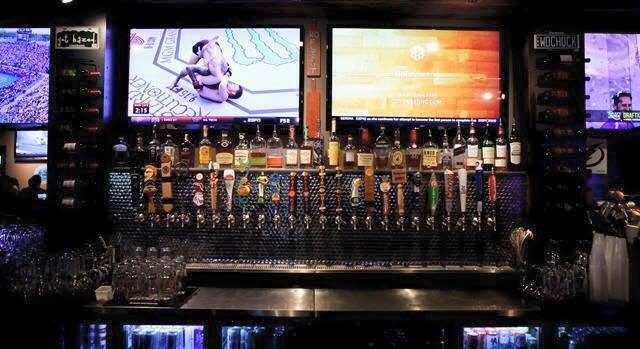 Peabody's features more than 20 beers on tap and a tremendous selection of over 25 craft beers. 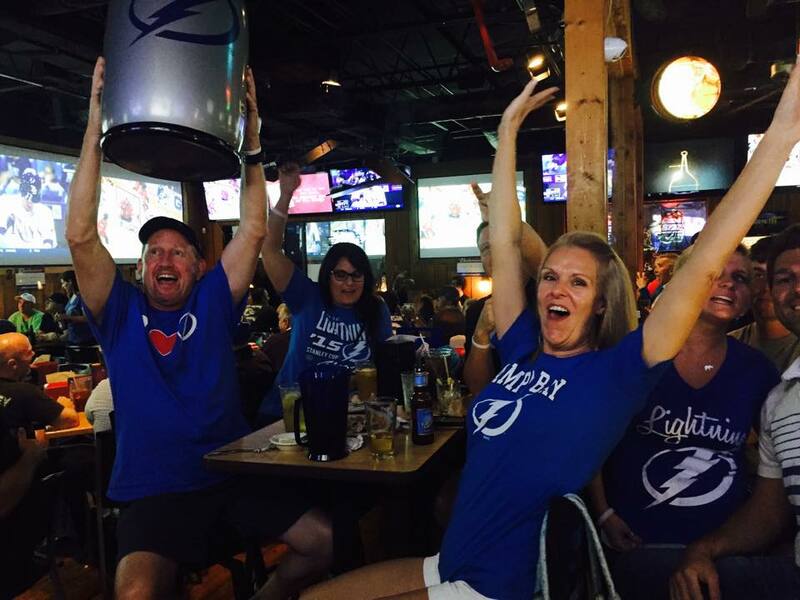 Peabody's is THE place to go for sports in North Tampa! Game night specials include Half Off All Appetizers - $6 Fishbowl Cocktails - $5 Tequila Shots! All college students with student I.D get an hour of free pool plus 2 for 1 wells, and $3 domestic drafts! 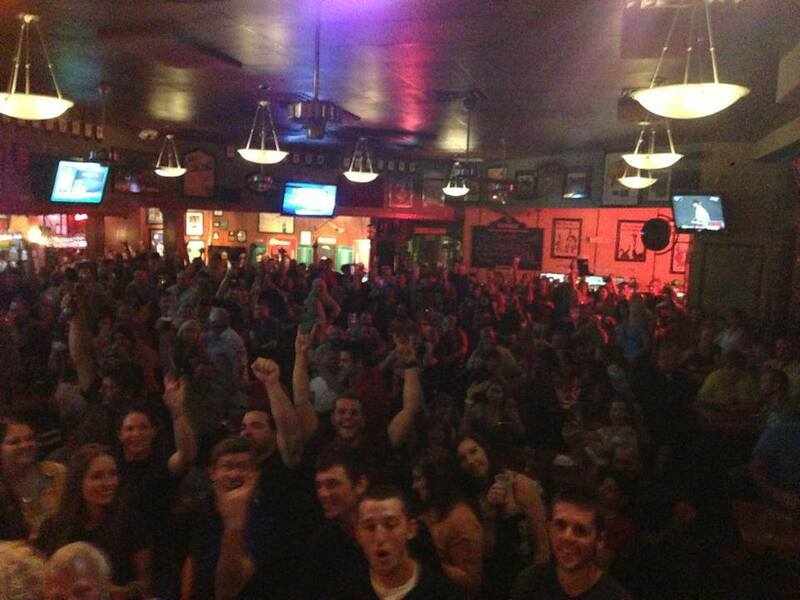 Peabody's knows how to throw a great National Championship Game party! This cool Irish Pub gets the party going with an awesome night of National Championship specials featuring $4 Captain Morgan and Don Q cocktails, $5 Stoli cocktails, and $5 Jack cocktails! One of the best on our Tampa Sports Bar Page, Gator's is a winner with their super 2 for 1 specials all day Monday, with all you can eat wings for just $13.99! College football fans, the night belongs to you at Gators Dockside on Fowler Avenue in North Tampa! Every town has a sports tavern everyone knows. Press Box in South Tampa is a local institution and local favorite for over two decades! 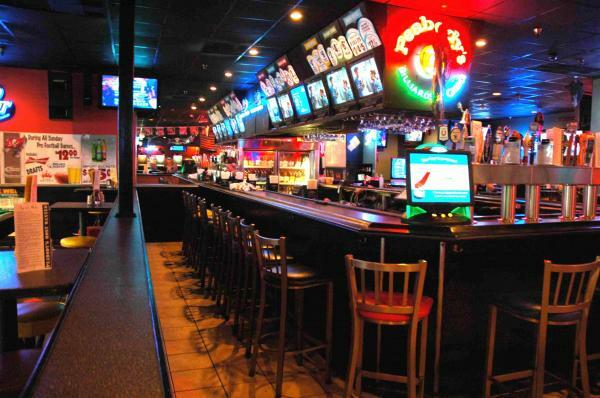 This is a sports bar for sports bar lovers (we are a loyal tribe). Press Box will offer Happy Hour from 3p-7p, with $2 domestic bottles. From 10p till close the party continues with $4.25 Rumplemintz, Southern Comfort, Goldschlager, Sambuca, and Yeager! Any burger, all day, and all night only $7 dollars! Attention Clemson fans this is the place to see and be seen in your Clemson gear, where it is safe to sing your fight song as you cheer for your beloved Clemson Tigers at the Outpost Clemson watch party. There's no cover charge so make plans to get there by 7:30 p.m. 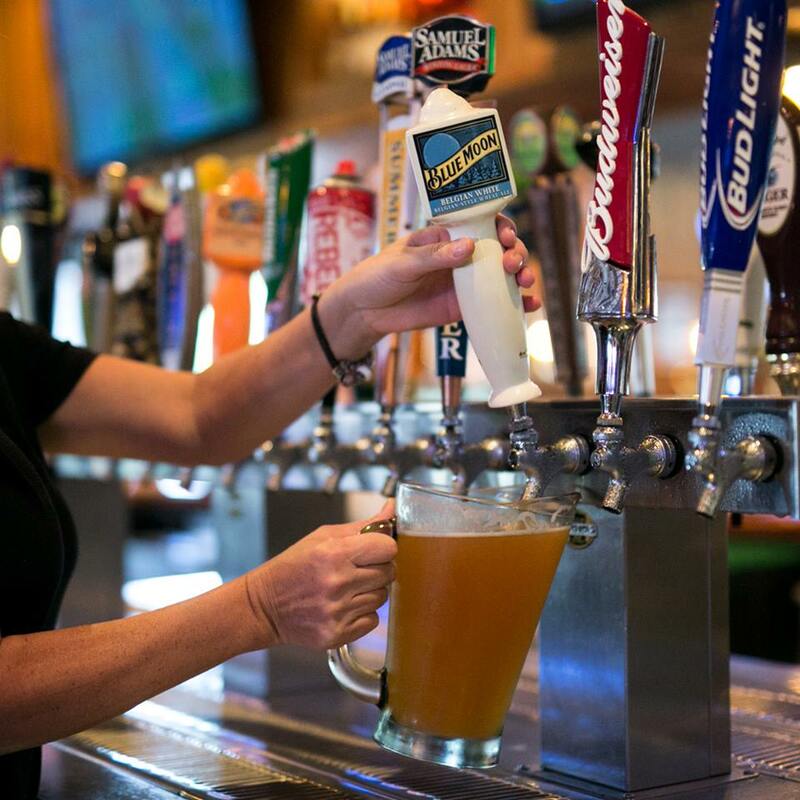 Enjoy a great night at the Outpost with $6 specialty fries, $3 cocktails, $4 Coors Lite Drafts and more! Cheer your team on to victory with your fellow Clemson alums and friends! Attention Alabama Crimson Tide fans, Tampa Joe's is hosting a fabulous National Championship watch party decked out with all things "Bama! They'll be featuring specialty Alabama pizza and specialty Crimson Tide drink! Enjoy live music from Tin Pan Alley, and great 2 for 1 drink specials throughout the night. You can also purchase a $40 game night ticket that includes all you can eat and drink or $25 ticket for all you can eat and pay as go drinks. This is THE place to be to watch and cheer your powerhouse team as they compete for another shot at the National Title! Roll Tide! What could be better than enjoying the National Championship College Football game at the original Selmon's! 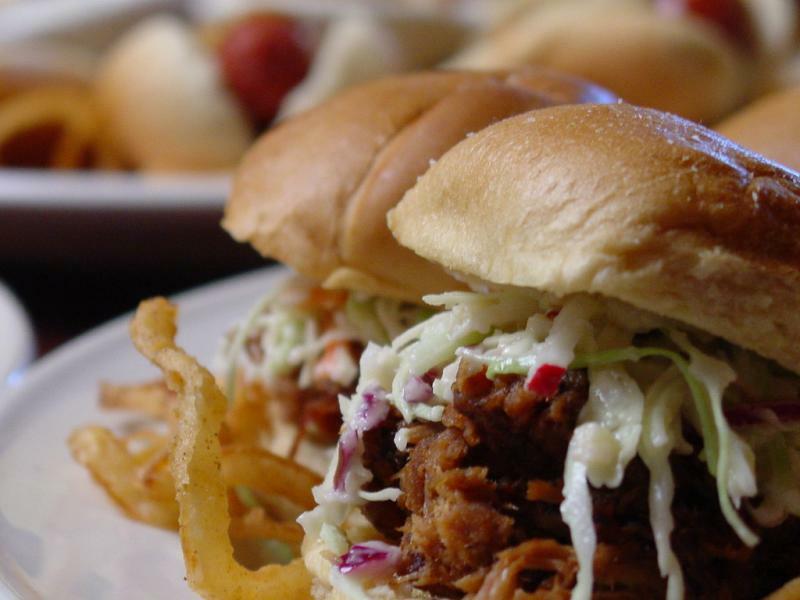 Enjoy their menu of signature bar-b-que ribs, chicken, pork, awesome sides, super salads and sandwiches!L Located near Raymond James stadium, Selmon's get close to the energy and spirit of the big game, in a spirited family friendly sports themed restaurant. 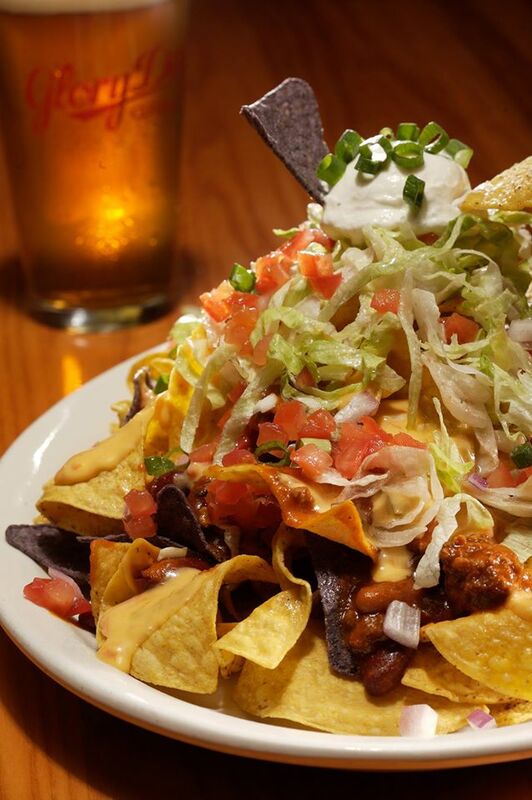 Sports lovers unite at this favorite sports grill that scores with great appetizers, desserts, and entrees. 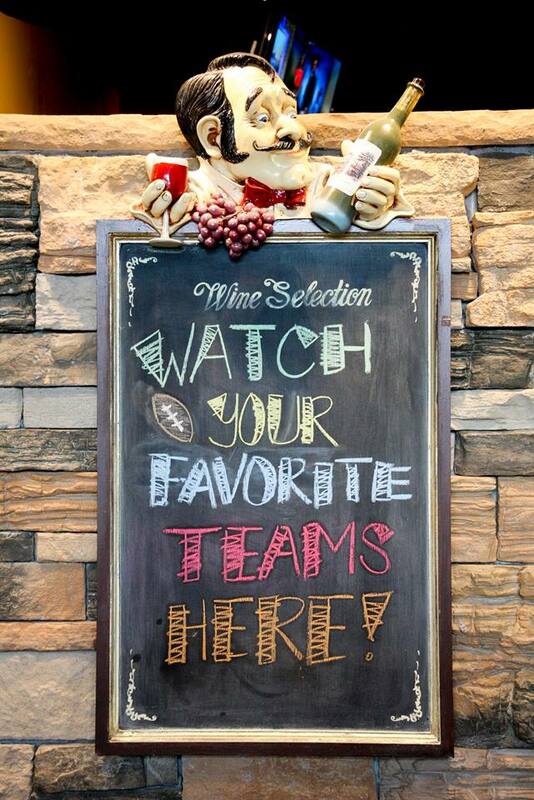 Enjoy the big game at any of their 4 great Tampa Bay area locations in Carrollwood, New Tampa, St. Pete and Lakeland! There a great menu selection to satisfy everyone on your team! Game day specials include $5.99 classic burgers all day, or specialty burgers for just $8.99! This is a great place to watch the big game on giant TVs in a vibrant, sports themed restaurant and reminisce about the "glory days" of college! There is plenty to do when it comes to the National Championship game in Tampa. Catch the excitement of the Big Game and the events Tampa has planned with Things To Know About The National Championship Game in Tampa. Be sure to check out our Sports Page and if you are beachside bookmark our sister site 727area.com to learn more about the bars, restaurants, things to do and Places to Watch the National Championship in Pinellas County!